Have a Car Repair Question? Is your car making a strange noise? Do you need help troubleshooting an electrical issue? Do you want a non-biased second opinion of an upcoming repair? Does your vehicle just not run the way it used to and you don’t know where to start? 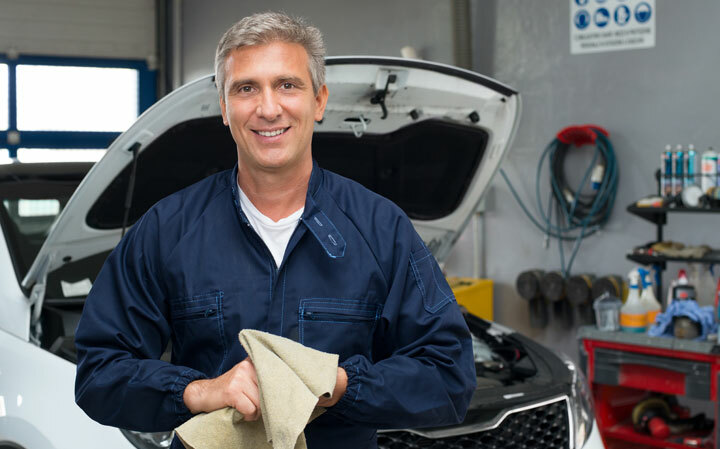 The car specialists at JustAnswer are certified master technicians with many years of auto repair experience who answer questions on the side. Many work at (or used to work at) dealerships or auto repair shops. Unfortunately, many local mechanics don’t have your best interests in mind and will try to sell you parts and repairs you don’t need. By asking a third-party (JustAnswer), you’ll get a non-biased answer since they’re not trying to sell you anything. While the JustAnswer service is not free, expect to pay only about $20-$30 to use the service. Compare that to the $100+ you may spend for a troubleshooting consultation at an auto repair shop, and it’s a bargain. Even as an independent mechanic myself, I’ve still turned to the JustAnswer service myself to get a fresh set of eyes at a complex problem I was racking my brain on. While Google, car forums, and sites such as CarTreatments.com can offer a good amount of troubleshooting advice, there are too many issues that are model-specific or unique and simply can’t be found online. Personally, I’m a research nut and will usually try to Google a solution but there are too many times where I can’t find the answer or I’m given bad advice. Sometimes this bad advice just makes me cringe because I know it will do more harm then good to someone’s vehicle. We’re all busy and need to remember that time is money. Instead of spending hours researching something you may or may not find the answer to, paying a small fee for professional, accurate information that you’ll get in a matter of minutes is so worth it. Sometimes you simply need to know what parts you should be looking at to troubleshoot an issue. Other times, you may need step-by-step instructions on how to repair the problem, wiring diagrams, or a second opinion of any upcoming repair you have scheduled to make sure you’re not getting ripped off. What I love about the service is that you’ll usually get several opinions, answers, and things to try. The advice will start with the cheapest and fastest things to try to solve the problem. I can tell the experts at JustAnswer know what they’re doing since that’s the way I think when trying to solve complex car issue.